Cactus has long been an important vegetable in Mexican and southwestern cooking. It has a flavor that is reminiscent of a bell pepper with the undertones of a green bean. The prickly pear (the variety most often eaten) grows despite even the harshest conditions, making it a popular choice for wild harvesting. Cactus is becoming more popular as a vegetable in other parts of the world. Would you like to give it a try? Nopales (Prickly Pears) are members of the Opuntia genus of the cactus family . 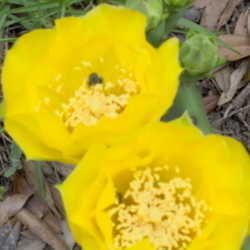 The prickly pear usually chosen for culinary use is the Indian Fig Opuntia. The oblong pads are also called paddles. The paddles are refered to as nopales when whole, but when diced or cut into strips they are more properly called nopalitos. While they are native to the western hemisphere, prickly pears have made their way around the globe, earning the notoriety of one of the worst plant invaders in South Africa and Australia. They even make an alcoholic beverage from the prickly pear in the Caribbean. In Europe, prickly pear flourishes in such places as Crete, Cyprus, Malta, Southern France, Southern Italy, Sicily and Sardenia. If you wild harvest your nopales, make sure you use only the top sprout. Choose paddles that are firm, and around the size of your hand. 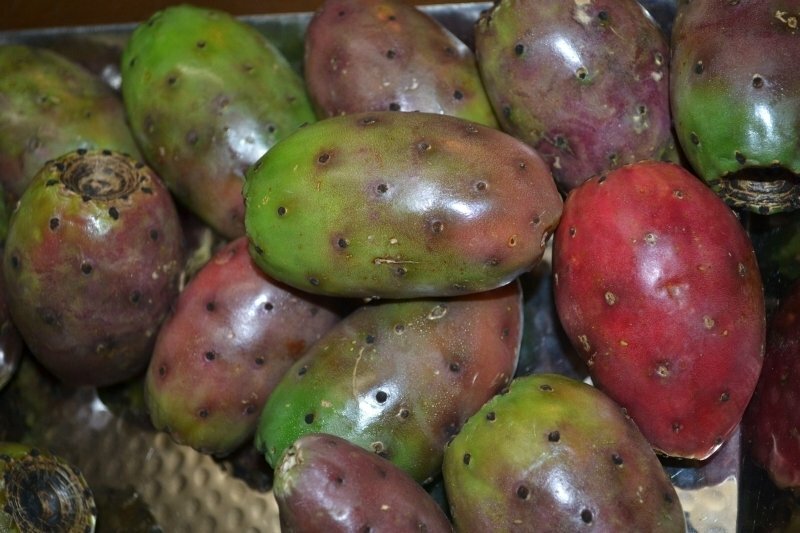 Also make sure that any of the fruits (commonly called tunas, though some recipes may refer to them as cactus pears, Indian figs, or cactus figs) that you harvest are fully ripe. Of course, wear gloves any time you work with cactus, as they are covered both with large spines and with glochids (tiny barbed hairs). The peak season for harvesting the best nopales is springtime for the juiciest and most tender specimens. They can, however, be harvested year round. You can buy spineless paddles in specialty food stores and Hispanic grocery stores already prepared. You can also buy prepared cactus strips in jars. Use care if you decide to prepare the cactus yourself. The easiest method is to scrap with a knife held perpendicular to the suraface of the pad, scraping/cutting off the bumps as you go. 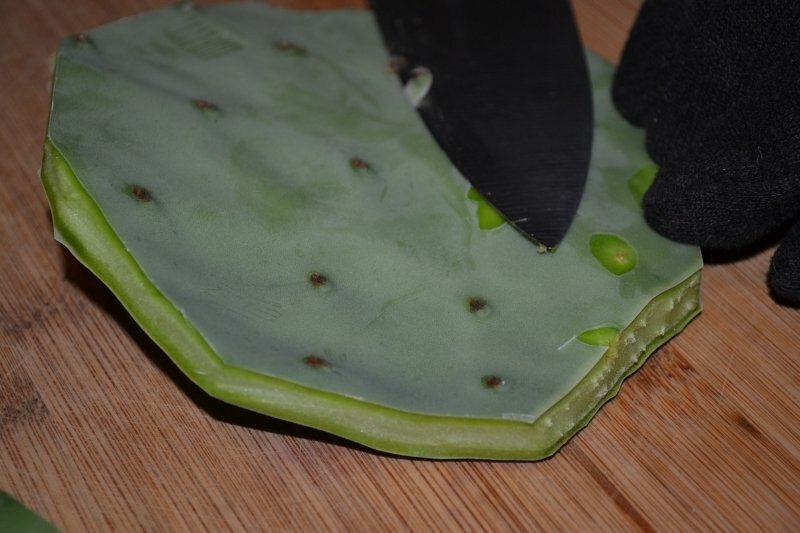 Boiling the nopales is the best way to remove the mucilaginous texture. For strips, five minutes in boiling water should be enough. Continue cooking as per your preferred recipe. One popular way to prepare cactus is by pickling. You can follow your favorite recipe - dilled, kosher, sweet, or bread and butter. 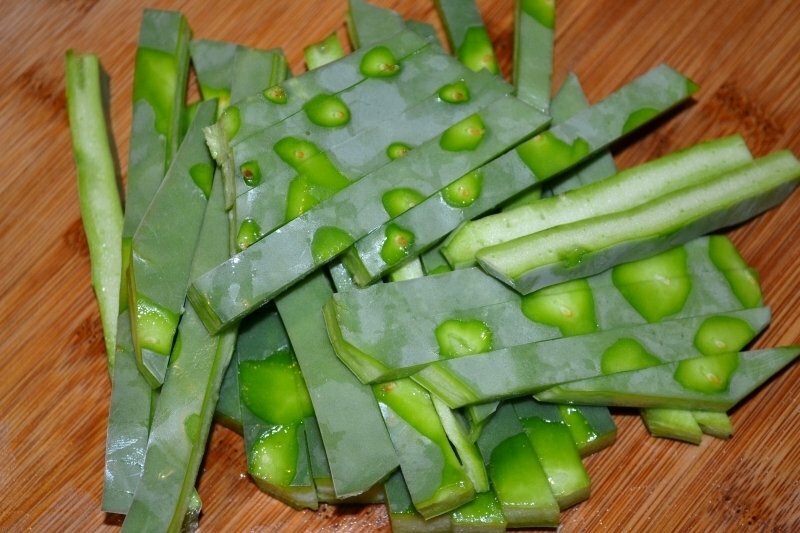 A simple sweet and sour preparation calls for 1 pound of cactus pads to ½ cup of sugar and ¾ cup of vinegar. Add other vegetables for flavor, including onion, jalapeno, carrot and tomato. Pickled cactus strips can be tied into knots and used to garnish servings of Southwestern inspired casseroles. 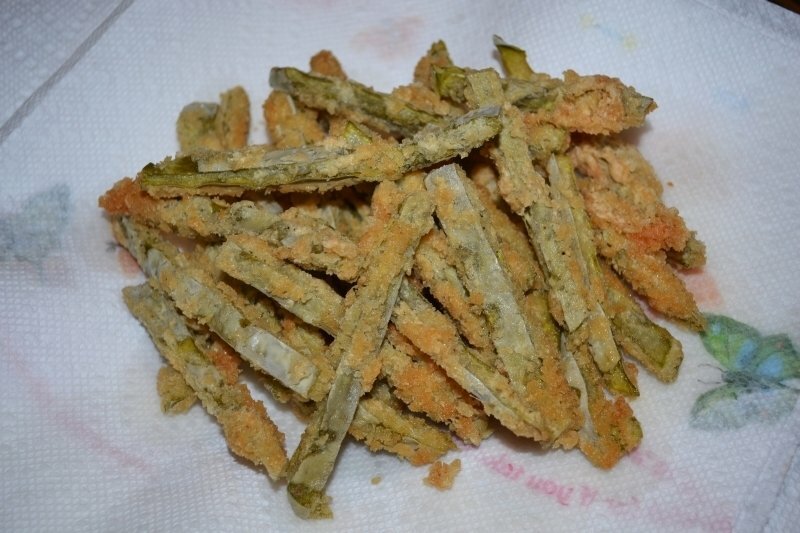 Cactus "Fries," which can actually be either baked or fried can be a fun way to introduce cactus to your family. Cut the cactus into fry-sized pieces, prep by boiling, then dredging in egg and then in a seasoned flour mixture, then back into the egg and finally into a coating of bread crumbs. Season the flour with your favorite Mexican seasonings such as cumin, coriander, and cayenne pepper. You can also process the paddles into a cactus-based relish. 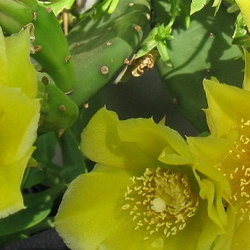 Cactus can be grilled or broiled and added to vegetable salads. Corn, tomato and avocado are popular ingredients, but use your favorite vegetables. Spice your mixtures up with jalapeno, and toss them with a citrus-based vinaigrette and chill thoroughly before serving. Strips of cactus can also be added to pinto beans for a boost of nutrition and flavor. Nopalitos are also a an intriguing ingredient in chile verde. It is often added to other soups and stews because it contains a natural thickening agent (which functions similar to okra). You can also add cactus to egg-based Mexican breakfast dishes (nopalitos con huevo). They add a bell-pepper element when pressed inside cheesy quesadillas. Cactus strips can add an unexpected element to cornbread. You could give them a try added to taco meat, or as an addition to chicken enchiladas. Huaraches, popular street fare in Mexico City, are stuffed prickly pear cactus paddles made with manchego cheese. The preparation is similar to a chile relleno. 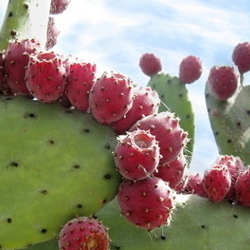 The cactus actually derives the name "prickly pear" from the fruit, which is the approximate size and shape of a pear. The fruits have a sweet, melon-like flavor. They may be green, yellow, orange or even red. The color does not indicate stages of ripeness. 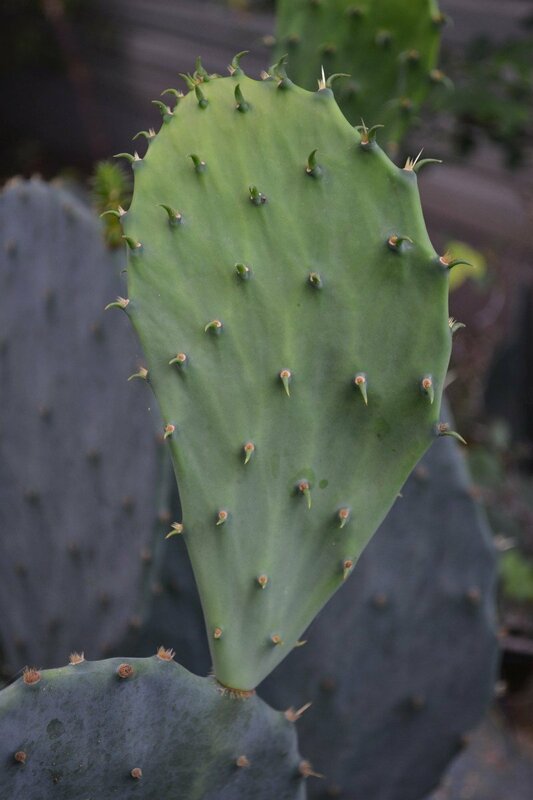 The fruit of a number of other cactus varieties are also edible. The fruit of the saguaro cactus has been particularly important in the region where it grows (where it is often dried, preserved in syrup, or fermented into an alcoholic beverage). At least a dozen other species have fruit commonly consumed in these ways. You will need to prepare them properly, though. 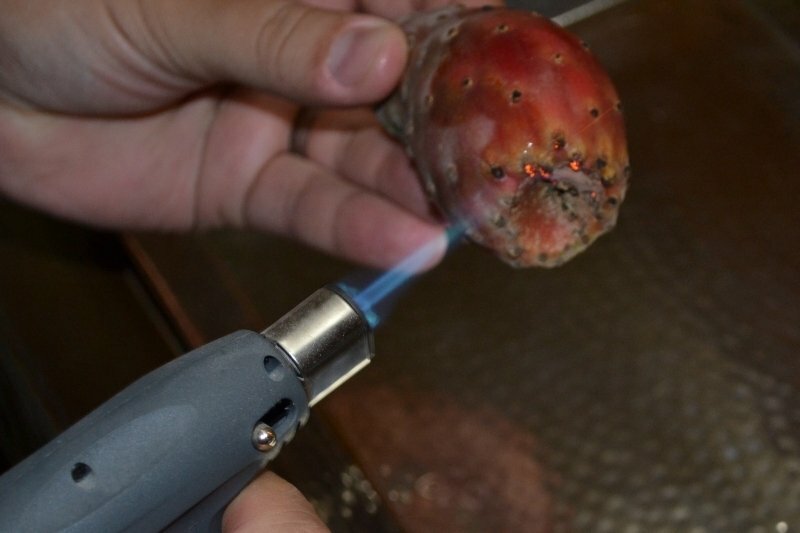 The spines need to be removed, either by burning them off with a torch and then scraping the residue from the skin, or by scrubbing (another traditional option is roasting the tunas using an open fire to burn off the spines). Then they should be blanched and peeled. There is also a seed sac that should be removed (scoop it out as though dealing with a cantaloupe) mainly to improve the texture. The seeds are edible., and the peeled fruit can be eaten raw, though it is more commonly processed into juice, which can be used to make jelly. The juice can also be used to flavor margaritas, lemonade, aguas frescas (fresh waters), and sorbets. The peeled tunas can also be processed as for any other firm fleshed fruit. I've even seen recipes where they are mixed with apples and baked as per apple pie. Cactus tuna jelly is one of the most popular ways to enjoy this unusual fruit. You need to cook down a gallon of prepared fruit and strain out all the solids (to give you roughly four cups of juice). 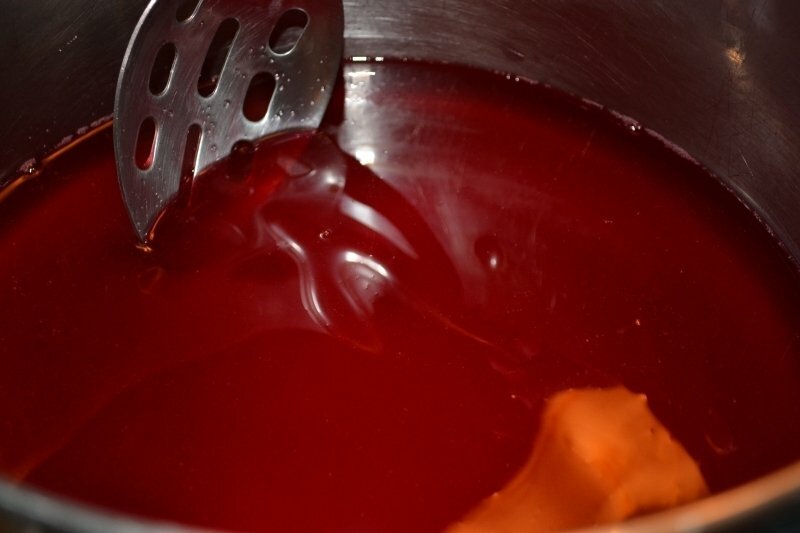 Measure the juice, add an equal amount of sugar and a couple of tablespoons lemon juice. 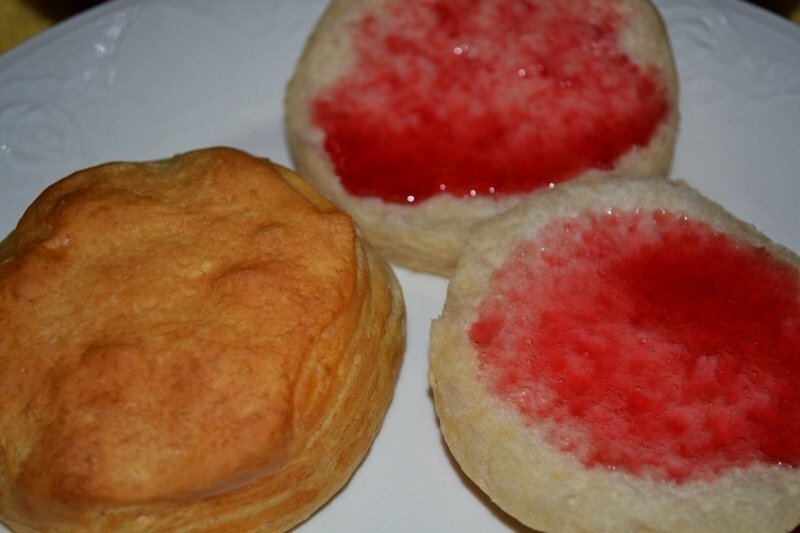 If you prefer, you can add a packet of pectin to ensure good gelling. Of course, these recipes are just a jumping off point. If you enjoy the flavor of nopales, I'm sure you will find new and unique ways to incorporate them in your own cooking style.